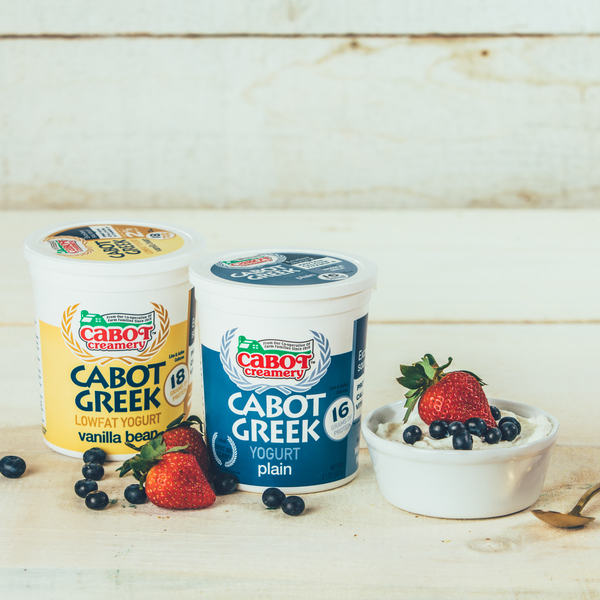 From tasty yogurts and dips to rich butters and creams, Cabot’s dairy products are made with only the finest ingredients. 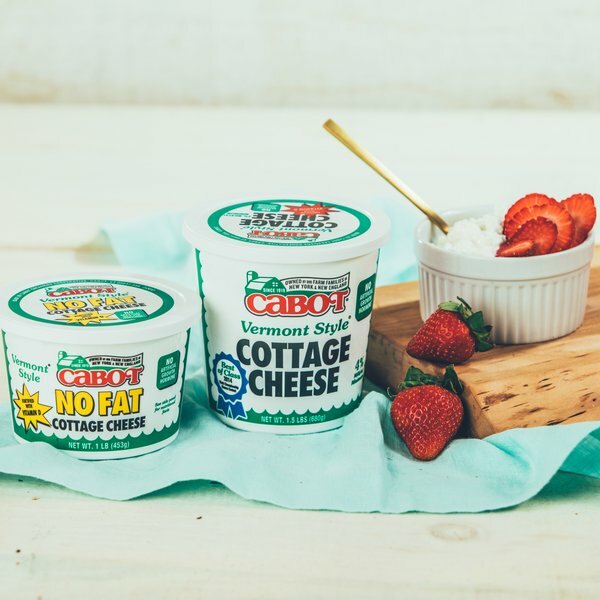 The pure milk provided by Cabot farmers is what makes our yogurt so unforgettably rich and smooth. Enjoy it on its own or add it to sauces, dips, and even main dishes. 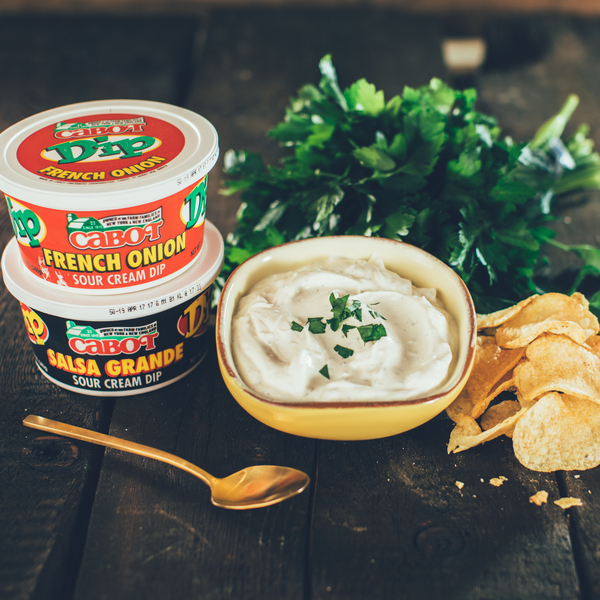 Cabot’s five delectable dips bring a burst of flavor to your veggies and chips that you’ll reach for again and again. Want to know our secret? We only use milk fresh from our farms. 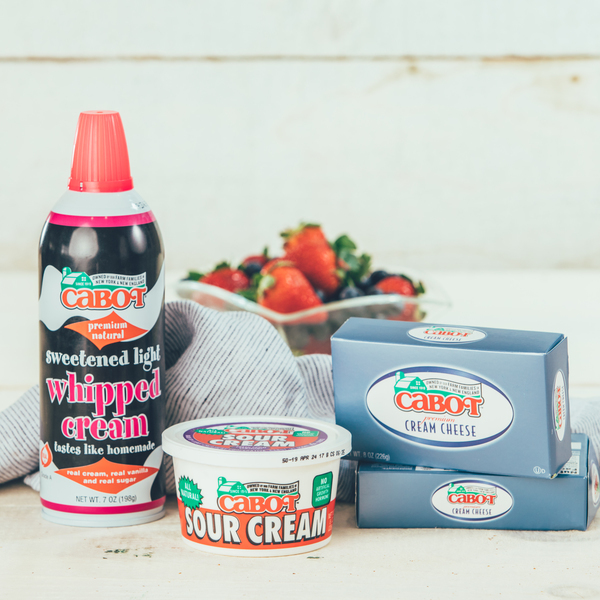 Made from the same remarkable milk that goes into our award-winning cheese, Cabot’s sour creams, cream cheese, and whipped cream are outrageously rich and so, so good. 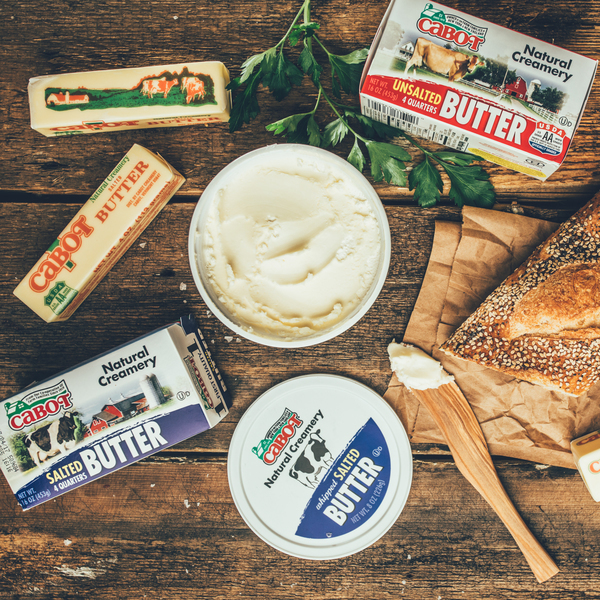 Cabot’s butter is indescribably pure and perfect. Maybe it’s because of our happy cows, lush green grass, and crisp, clean air—and maybe it’s because we’ve been lovingly perfecting it since 1919. 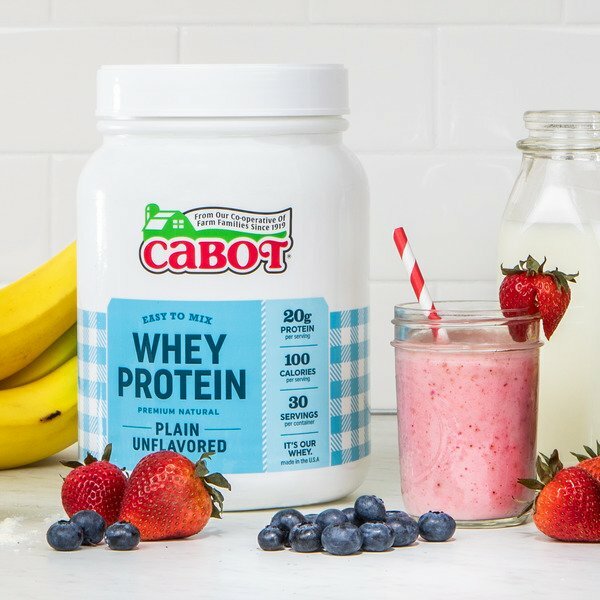 Cabot’s farmers put the same care into making our Whey Protein that they do into creating all their dairy products. So we know it’s good—and good for you.